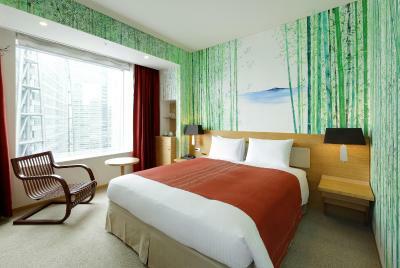 Lock in a great price for Park Hotel Tokyo – rated 8.9 by recent guests! I stayed in the artist floor. I’m so glad I did. My room was unique and lovely. I enjoyed it. Also, enjoyed all the art hanging in the floor gallery. Staff is sweet, helpful but not cloying. Expensive but then it is Tokyo. The hotel is beautiful. The location is perfect in terms of subways and access. The breakfast spread was delicious! The staff was always able to guide our plans. The view from the rooms -- incredible! A perfect place to not only celebrate an anniversary, but to also splurge and get a BEAUTIFUL room with the best view for the week! Great location, great rooms, very professional staff. The hotel is beautiful and our view was amazing from our room. Excellent location and helpful staff - a nice lady recommended an awesome ramen spot (Mugi to Olive). 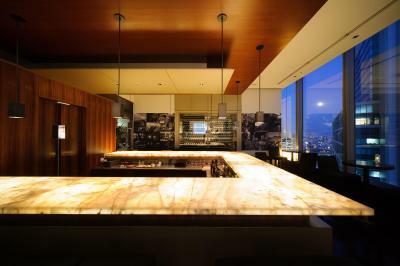 Awesome location from the fast pace of Shibuya, Shinjuku and other areas. Subway access directly by elevator which is huge. Staff was very friendly and welcoming. Close to Hamarikyu Gardens, Fish Market, Tokyo Midtown, Roppongi/Roppongi hills, Meguro, Ueno, and Shibuya is a short ride subway ride away. Stunning views, although I wish I had a Tokyo Tower view, the other side toward the harbor was cool too. Breakfast was delicious as well. Close to transit... and the view, but not for the price paid. Gorgeous view of the city from our corner room. For Japan standards, our room was quite large. The hotel is right above a metro stop, making it super convenient for getting around. 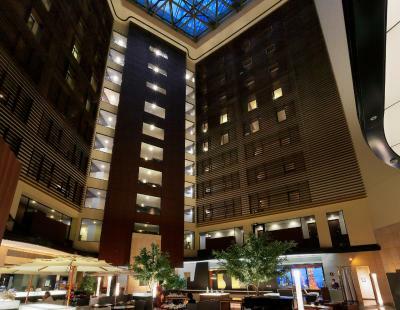 Park Hotel Tokyo This rating is a reflection of how the property compares to the industry standard when it comes to price, facilities and services available. It's based on a self-evaluation by the property. Use this rating to help choose your stay! One of our top picks in Tokyo.Featuring stunning views of Tokyo and a convenient location just steps from Shiodome Subway Station, Park Hotel Tokyo offers stylish accommodations with free WiFi. Rooms feature large picture windows. 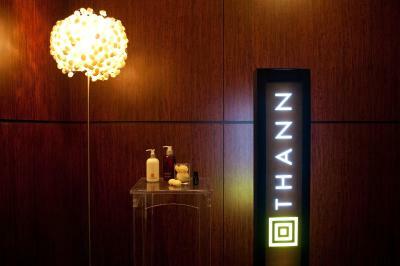 Each includes exclusive THANN amenities. Guests can relax with a drink from the mini-bar and enjoy sweeping city views. 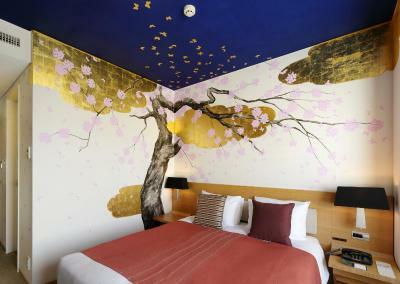 Park Hotel Tokyo is only a 10-minute walk to Hamarikyu Gardens. Shinbashi Train Station is 1,000 feet away, and Tsukiji Fish Market and the Ginza shopping area are both just a 5-minute taxi ride from the hotel. An in-room massage service is available to help guests unwind. Park Hotel Tokyo also offers a fully equipped business center and concierge services. The hotel offers 7 food and beverage options, including tateru yoshino bis (French cuisine) and Hanasanshou (Japanese cuisine). A cafe, lounge and bar are also located on-site. 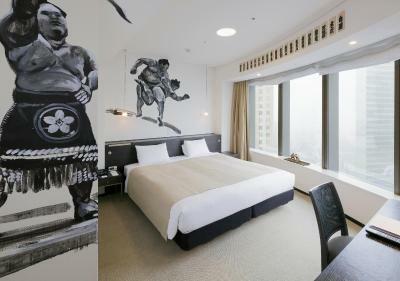 When would you like to stay at Park Hotel Tokyo? This room features large picture windows. Includes THANN amenities. Guests can relax with a drink from the mini-bar and enjoy sweeping city views. Free WiFi is available. Cannot accommodate an extra bed or a cot. This larger room features a sitting area with sofa and ample workspace. Includes THANN amenities. Guests can relax with a drink from the mini-bar and enjoy sweeping city views. Free WiFi is available. Cannot accommodate an extra bed. A baby cot can be accommodated. Cannot accommodate an extra bed or a baby cot. 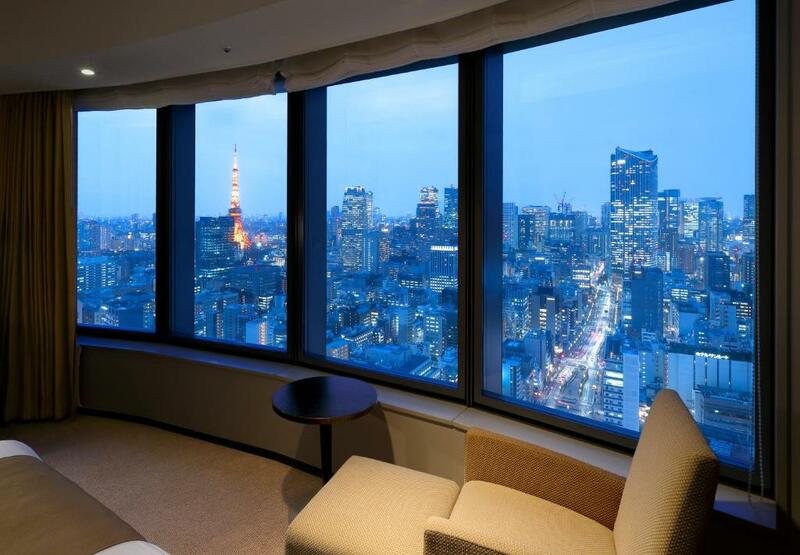 Offering great views of iconic Tokyo Tower, this room features large picture windows. Includes THANN amenities. Guests can relax with a drink from the mini-bar and enjoy sweeping city views. Free WiFi is available. This air-conditioned room features THANN amenities. 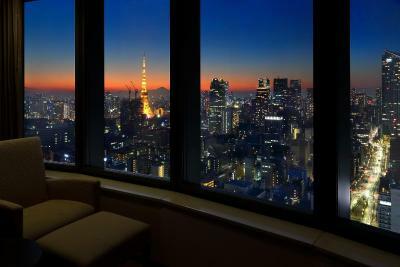 Guests can relax with a drink from the mini-bar and enjoy sweeping city views including the view of Tokyo Tower. This air-conditioned room features THANN amenities. 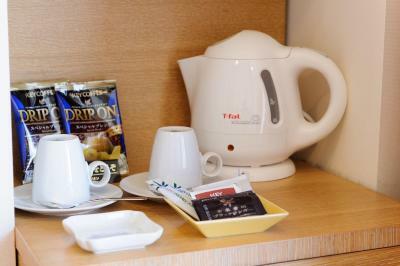 Guests can relax with a drink from the mini-bar and enjoy using the free WiFi. This room comes with a narrow window. 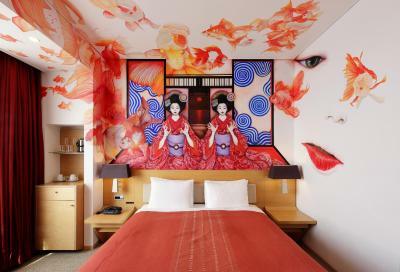 This queen room features a variety of paintings and objects by Japanese artists. Each piece was crafted from the inspiration gathered by the artists during their stay at Park Hotel Tokyo. Each features a city view, a mini bar and a private bathroom with free amenities, a hairdryer and a bath. Please note that rooms are subject to availability and cannot be guaranteed. This king room features a variety of paintings and objects by Japanese artists. Each piece was crafted from the inspiration gathered by the artists during their stay at Park Hotel Tokyo. Each features a city view, a mini-bar and a private bathroom with free amenities, a hairdryer and a bathtub. 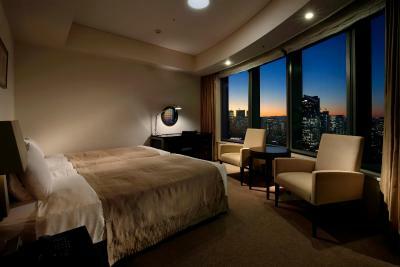 Offering great views of iconic Tokyo Tower, this room features large picture windows. Includes THANN amenities. Guests can relax with a drink from the mini-bar and enjoy sweeping city views. Free WiFi is available. Cannot accommodate an extra bed or a cot. This single room features a variety of paintings and objects by Japanese artists. 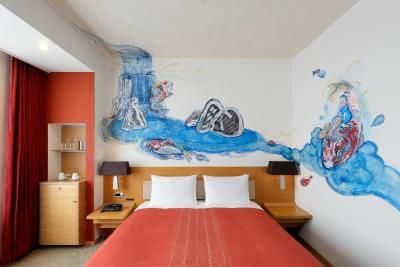 Each piece was crafted from the inspiration gathered by the artists during their stay at Park Hotel Tokyo. Each features a city view, a mini bar and a private bathroom with free amenities, a hairdryer and a bath. This triple room offers enjoy sweeping city views and guests can relax with a drink from the mini-bar. Free WiFi is available. This suite features a electric kettle, view and bathrobe. House Rules Park Hotel Tokyo takes special requests – add in the next step! Park Hotel Tokyo accepts these cards and reserves the right to temporarily hold an amount prior to arrival. Please be informed that bookings of 5 rooms or more, and bookings which exceed 15 room nights or more will be treated as group bookings. Different policies and additional supplements may apply. Please contact the property directly for more details. Just had to take take two sets of elevator to reach the room ! Over all service right from checking to organizing trips and ride to the airport. Would have been nice for breakfast to be included for the price. Hotel was in a fabulous location. Room had a great view of Tokyo Tower. Plenty of places to eat around the area but not late in the evening. Artworks very nice. Room was spotless and of a very good size. The location is in the Shiodome area. When I left the train station I spent the next twenty/ thirty minutes of my life lost in the crazy underground passageway area. Signs are few and everything looks the same. Later, the hotel furnished me with a map but it took me a few times to get it down. Confusing, no matter which route you take. Not the hotels fault but it felt very disconnected from the city. La position de l’hotel ! There were four of us and we had to book two rooms. That said, they were able to put us next door and it was fine, though more expensive this way. There was no comlimentary water. Definitely Tokyo tower!!! Siodome station was very closed. Having two hotels in the tower with similar names. Taxi driver always took us to the wrong hotel. As we were 3 adults sharing a room we decided to go for the superior room. It was a good decision as our room was quite decent size considering we were in Tokyo with an amazing view of city and Tokyo tower. Plus on a clear day we could see Mount Fuji from our full sized windows which was beautiful . Really impressive. Location really convenient as the metro was within 5 minutes walking distance. We did not miss not having breakfast included as every station had beautiful bakeries . Couple of the staff members were a little abrupt. Great view from our room. Staff were efficient. Comfortable bed. Hotel transfer to airport was easy and good. Breakfast was great for a non Japanese breakfast even though expensive . Very comfortable hotel with excellent staff. 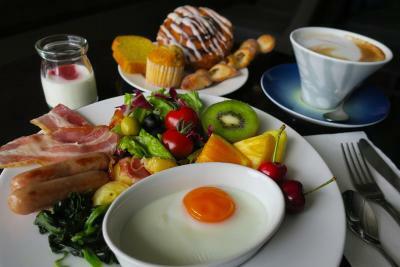 Fantastic breakfast with a huge choice - everything you could want. 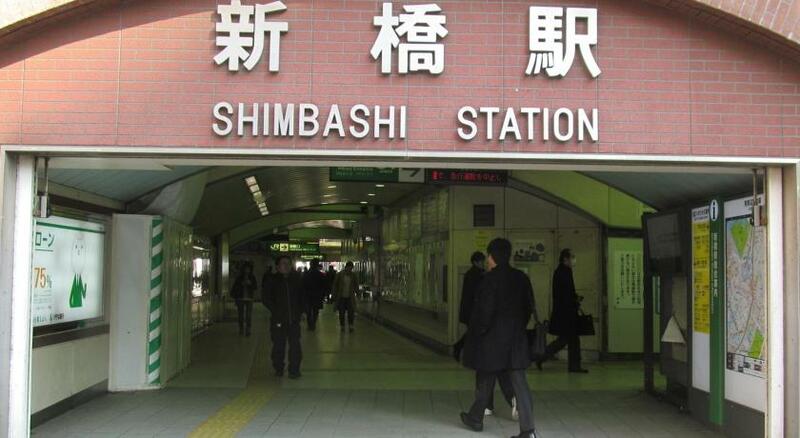 The hotel is a short walk from Shimbashi station - two stops from Tokyo Central, so very easy to get to. We find it the perfect place to unwind and get over the jet lag after the long flight from the UK. We had a huge room, even with the extra bed for our daughter. Great views and really handy for the Yamanote line which takes you pretty much everywhere you would want to go when you’re a tourist. WiFi was great. Highly recommended.